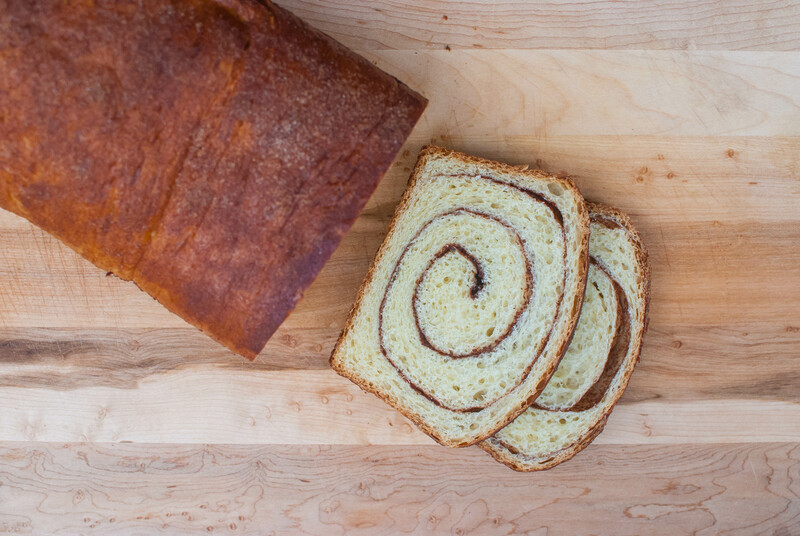 My family has been buying cinnamon bread for years, and our two favorite versions are very different from each other but delicious in their own ways; the first, a brioche loaf with swirls of cinnamon sugar, comes from our local farmer’s market. 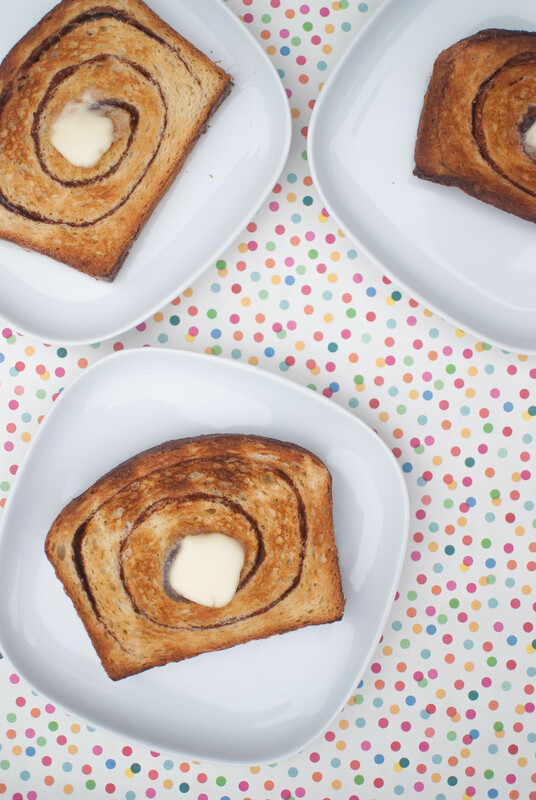 But the second wins the crown: hailing from a specific supermarket on Sanibel Island in Florida, it takes a classic cinnamon bread and makes it shine by decking the bottom of the loaf out with a buttery, sugary base. I could literally eat it Every. Single. Day. So a few days back I decided to attempt to live up to those high standards and try my hand at The Pioneer Woman‘s recipe. What I wound up with was a delightfully buttery, flavorful egg-based bread that very much resembles the kind we buy from the farmer’s market. And the best part? It’s super easy to make. Which means you have no excuse but to go make it right now! You’ll start by melting together some butter and milk on the stove, heating it until it’s hot but not boiling. Let it cool until warm (just above lukewarm), then sprinkle on some yeast and let it sit for 10 minutes. Meanwhile, whisk together some flour and salt. 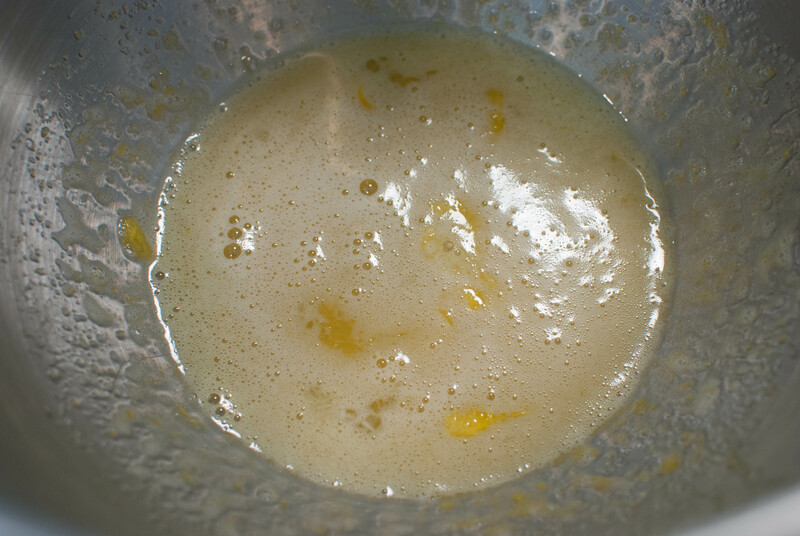 Beat together some eggs and a touch of sugar in the bowl of an electric mixer, then pour in the yeast mixture and mix it until it’s all combined. Add in half the flour mixture and mix until everything’s combined, then add in the other half and mix it one more time. It’s kneadin’ time! 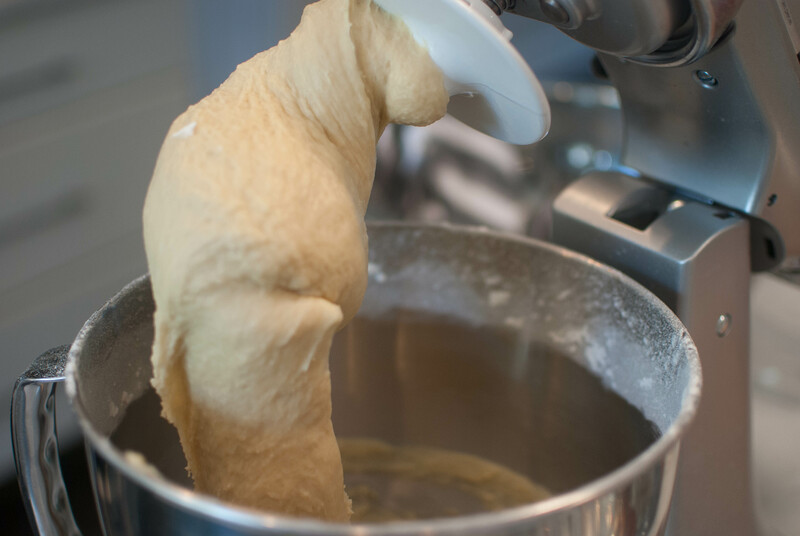 Switch to the dough hook and knead the dough on medium speed for a good 10 minutes. Kick back, relax, and let the mixer do it’s thing! While the dough is mixing, warm up a large metal or glass bowl by filling it with hot water, then drying it. Drizzle a bit of oil into the bottom of the bowl and transfer the dough to it, tossing to coat in oil. Cover with plastic wrap and let the dough rise in a warm spot for 2 hours. I actually put mine outside so the air-conditioning wouldn’t stop the yeast from working! 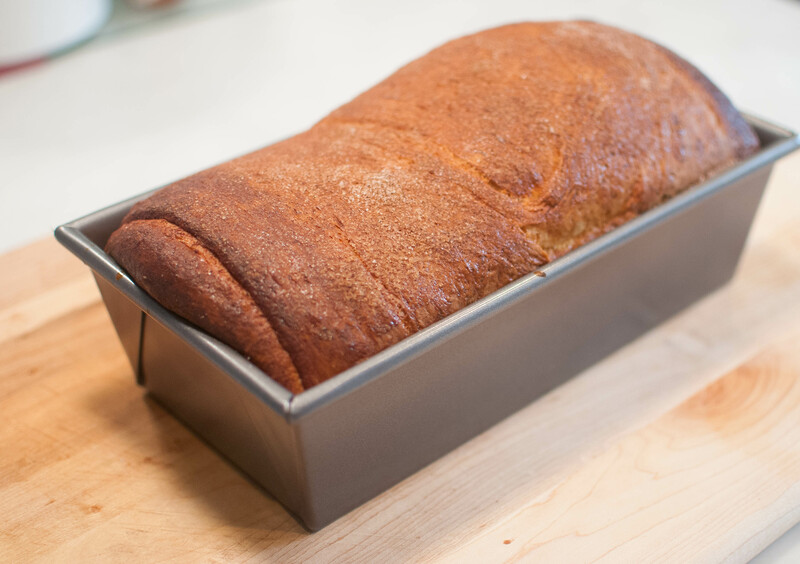 When your dough is ready, transfer it to a work surface and roll it into a rectangle about 18-24 inches long, making sure the short side is no longer than the length of your loaf pan. I used a 10 by 5 (ish) inch pan. 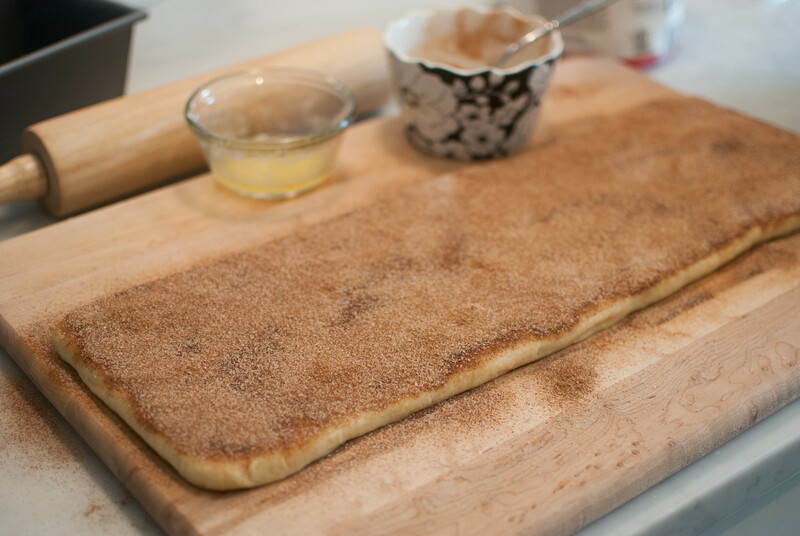 Use your fingers to spread some melted booth on the dough, then sprinkle on a nice heavy coating of cinnamon sugar. Time to roll ‘er up! Start from one end and carefully roll the dough into a tight log, pinching the seam so it stays shut. 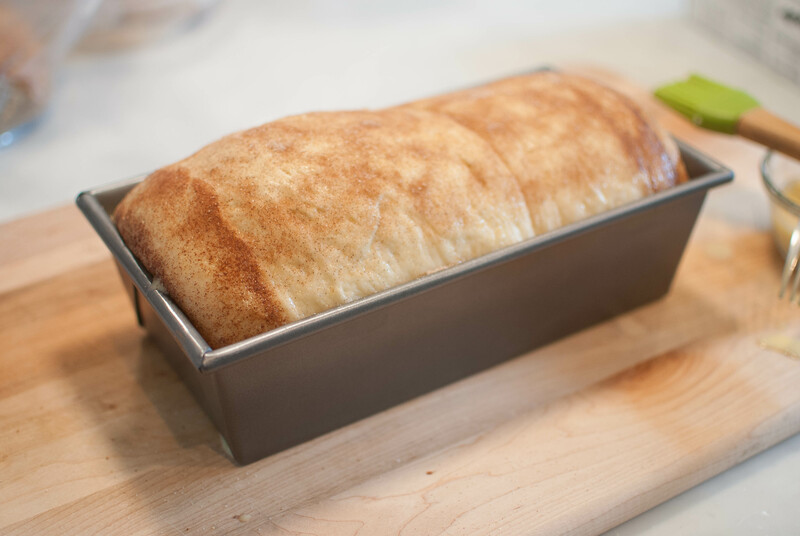 Place the log in a buttered loaf pan, then cover with plastic wrap and let rise in a warm spot for another 2 hours. I know it’s a lot of rising time, but trust me when I say it’s all worth it! Look how big and beautiful it got! 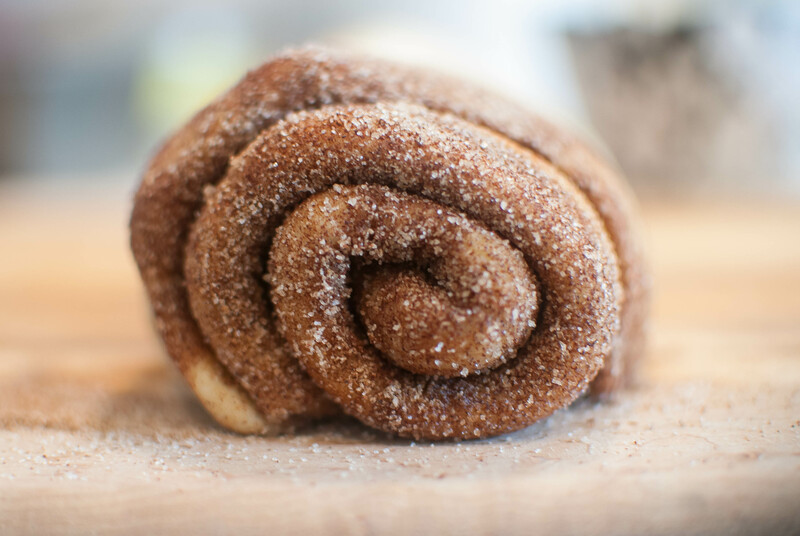 Finish the dough off by brushing it in a milk and egg mixture and sprinkling on one more layer of cinnamon sugar. You know, for good luck. Your kitchen (and house, for that matter) smells amazing right now. And slathering it in loads of butter. 1. In a medium saucepan, melt together the butter and milk and continue to heat until hot but not boiling. Turn off the heat and let the mixture cool until warm (not hot) to the touch. 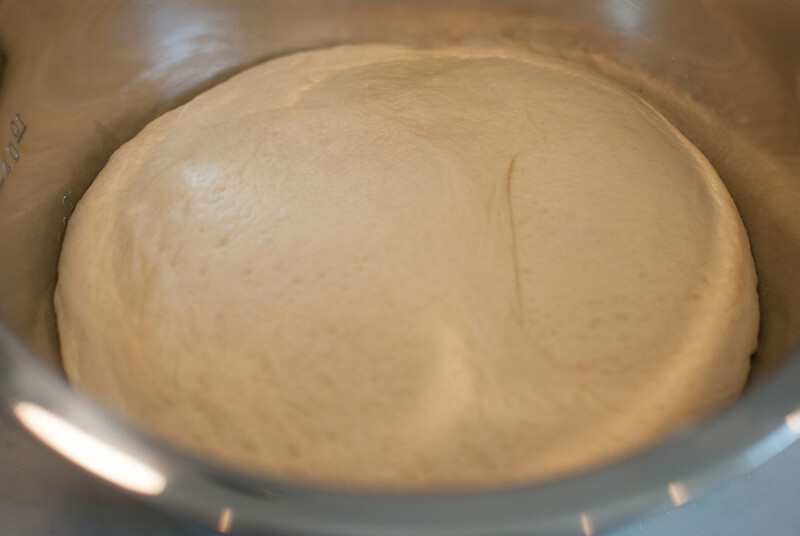 Sprinkle the yeast over the mixture and stir gently just to make sure the yeast is evenly distributed. Let stand for 10 minutes. 2. 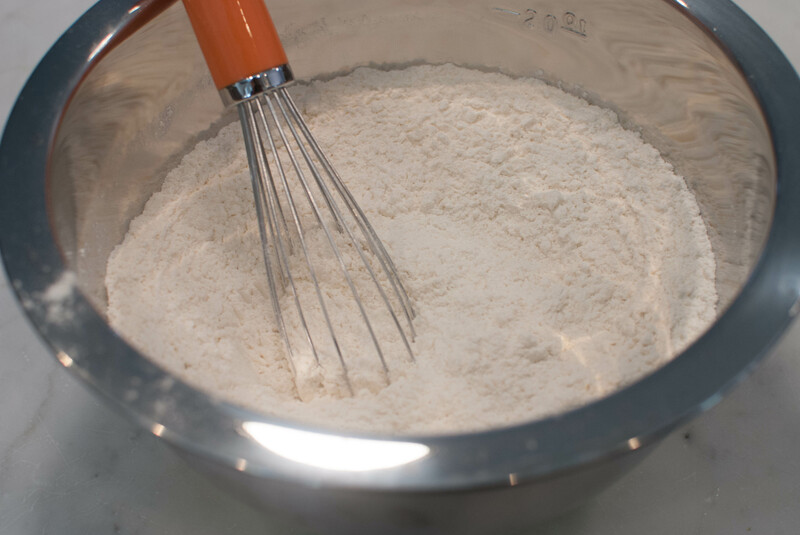 Whisk together the flour and salt in a medium bowl. In the bowl of an electric mixer fitted with the paddle attachment, beat together the egg and 1/3 cup sugar until thoroughly combined. Pour in the yeast mixture and stir everything together. Add in half the flour mixture and mix on medium speed until incorporated, then add in the rest of the flour and give it one last stir. 3. 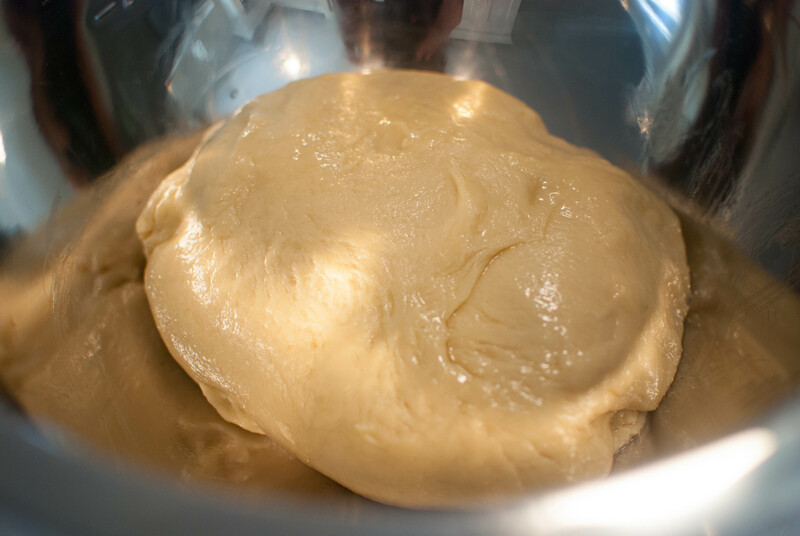 Switch to the dough hook and knead on medium speed for 10 minutes. 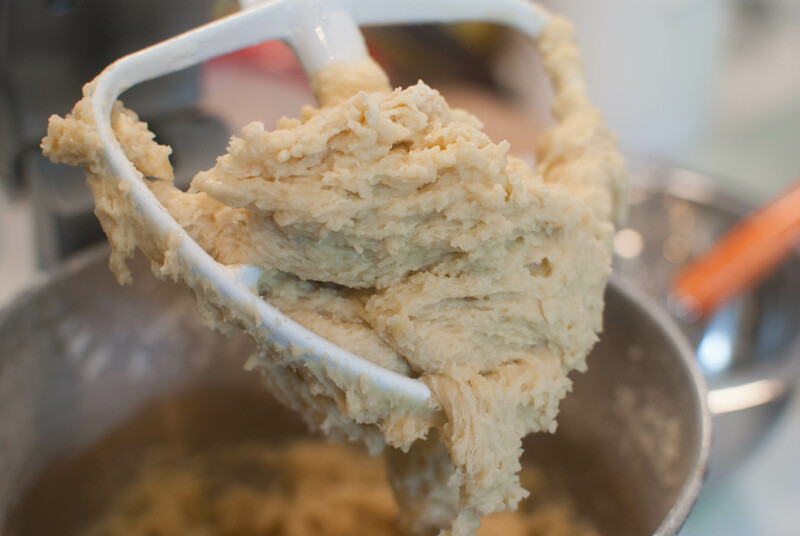 If you finish kneading and the dough is very sticky (it should be a little sticky), you can add in an extra 1/4 cup of flour and knead for another 5 minutes. While the dough is kneading, warm up a metal or glass bowl by filling it with hot water, then drying it off. Drizzle a bit of oil into the bottom of the bowl, then transfer the dough into it, tossing to coat in the oil. Cover tightly with plastic wrap and set to rise in a warm place for 2 hours. 4. 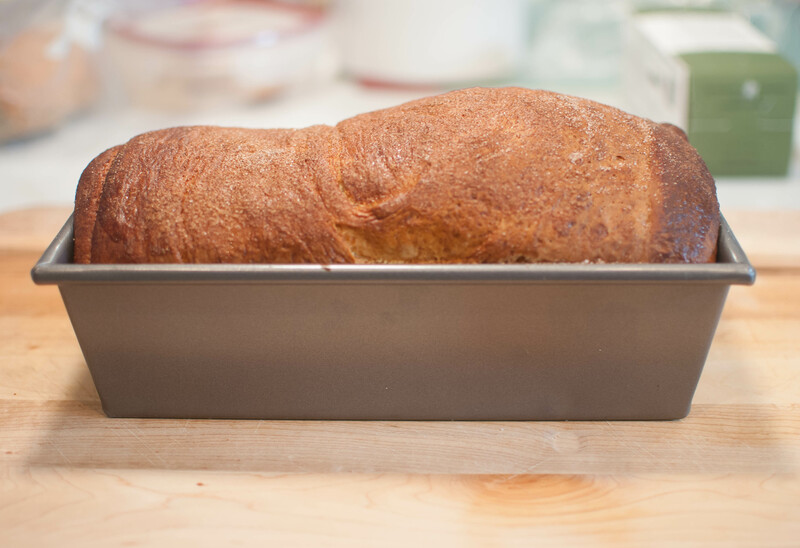 Butter a loaf pan (mine was 10 by 5 inches, but anything around that size will do the trick). 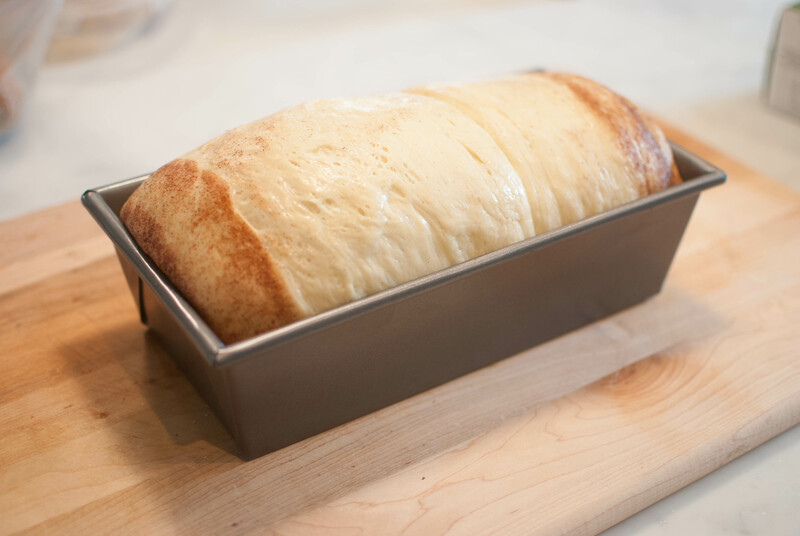 When the dough has risen, transfer it to a work surface and roll it into a rectangle about 18-24 inches long, making sure the short side is no longer than the long side of your loaf pan. 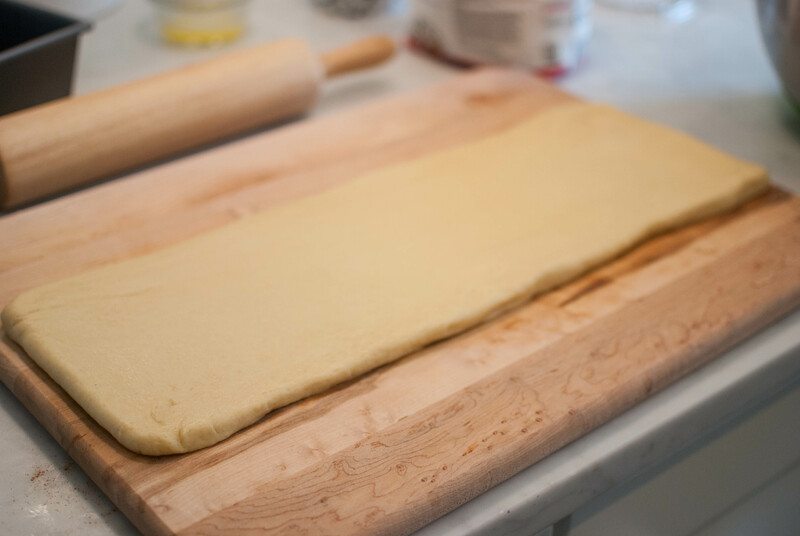 Use your fingers to smear on the melted butter, covering the whole surface of the dough. 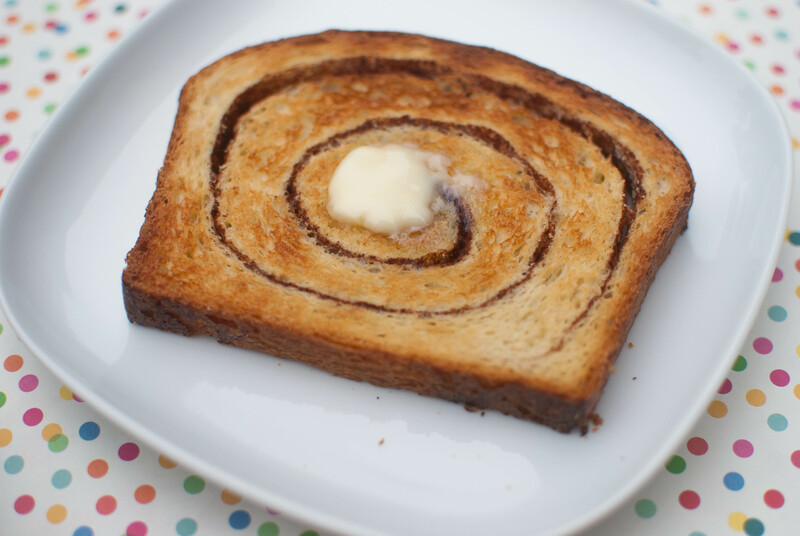 Combine the cinnamon and other 1/3 cup of sugar in a small bowl and sprinkle it generously over the dough. Starting at one of the short sides, roll the rectangle into a tight log and pinch the seam to seal. Place the log in the pan seam side down, cover with plastic wrap, and let rise in a warm spot for another 2 hours. 6. 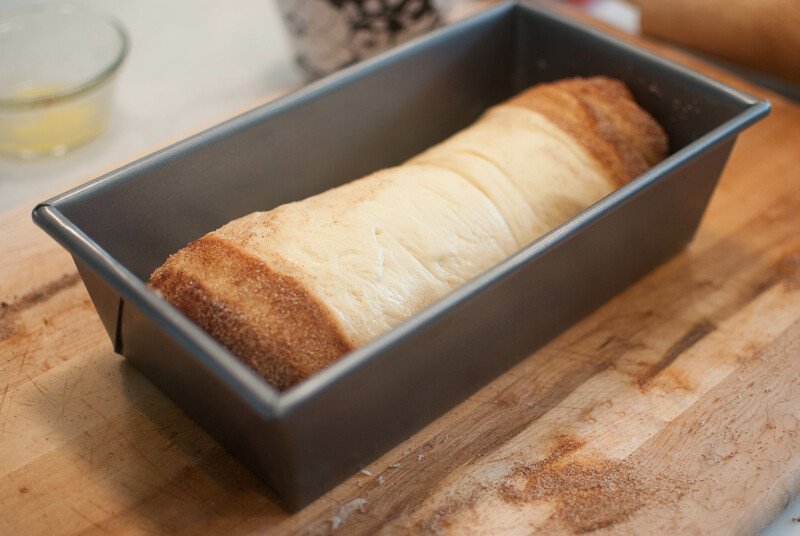 Brush the top of the loaf with the egg/milk mixture, then sprinkle on a bit more cinnamon sugar. Bake for 40 minutes, until golden and hollow sounding when tapped. Cool on a wire rack and enjoy!